Discussing the differences of Historically Black Colleges and Predominantly White Institutions on social media is difficult. Traveling to Yale University, a school considered as one of the most prestigious institutions in the country to bring this discussion forward in front of at least 700 students, professors, and professionals as HBCU students can be even harder. Yet two Hampton University students, Talia Sharpp and Alexis Mayfield, brought the conversation to the forefront in a different way. 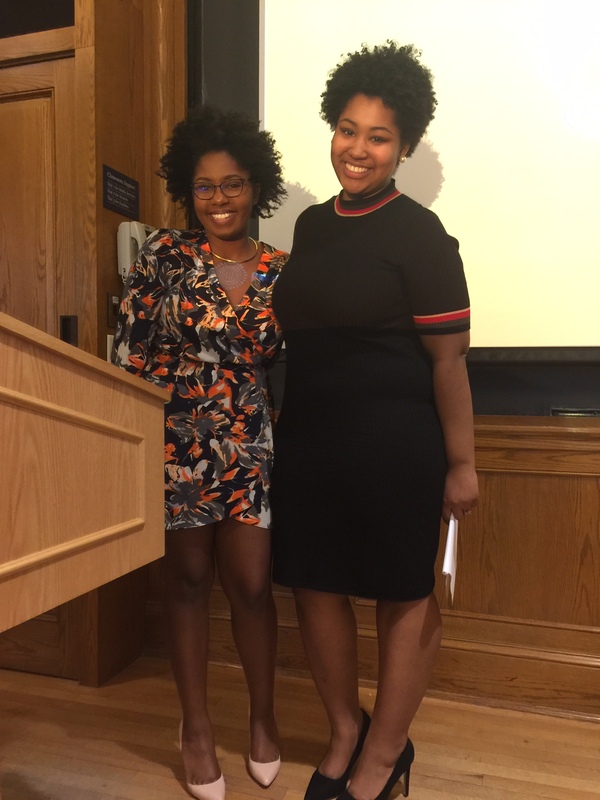 It was the 21st annual Black Solidarity conference and both Sharpp and Mayfield were the only two historically Black university students in attendance. The conference was held was held from Thursday to Sunday, and included keynote speaker Elizabeth Alexander and a performance from rapper Mick Jenkins. The workshop titled “HBCU vs PWIs: an unnecessary debate, necessary discussion,” was a chance to discuss the conflict of conversation on the topic in front of faces of Black students who attend predominantly white schools. The discussion on HBCUs and PWIs has always been a heated topic. It has grown amongst the annual discussions that can be seen on Twitter whether it focuses on living conditions, acceptance and graduation rates, campus demographics and social life. More specifically, the conversation reaches new heights almost every year in Black Twitter. Just a few months back in November when the University of Missouri football team decided to take a stand against racism at their school, Black Twitter began a hashtag #BlackOnCampus to express their distress. The only problem is that every Black person does not attend a school with similar demographics. The argument on HBCUs versus PWIs came about during a time where students were facing an uphill battle of being racially outnumbered on a campus feeling neglected in the school environment. And if being the minority at an institution, battling racism and establishing a platform to make their voices heard was hard enough, the addition of a HBCU and PWI debate may have been the icing on the divisive cake. Days later, Hampton University took steps to combat the social divide of Black students in college in support of students at the University of Missouri. Being that the topic has been such a fiery discussion for a long period of time, it came as to no surprise that Sharpp and Mayfield’s workshop received as much people in attendance as it did. They went on to say that when they arrived they only had an hour to prepare for their workshop saying that “the room was packed and that people were already sitting on the floor and standing up around the room.” The workshop had the highest number of attendees compared others, including “at least 100 people,” according to Mayfield and Sharpp unsurprisingly. Although, being the only two students attending a historically Black college at the conference, both Mayfield and Sharpp felt an obligation to be an example of what a Black college can bring to a discussion. They had two cases during their presentation. “We looked at the historical and vertical background by Audre Lorde,” Sharpp said. Everyone in the room was not as receptive to what was being discussed, but it was expected. “It was kind of a general feeling [in the room] that HBCU students make them out as sellouts,” Sharpp said. “Because it’s such a tense conversation, it took them a while to get warmed up,” Mayfield added. But overall the case studies and their focuses ended up being successful. “In response to the case study, students responded saying that other students of color are important also and need to be included in activism,” Sharpp remarked. They included cases of police brutality on campuses of both historically Black and predominantly white colleges. One case included examples of police involved threats in killings at Jackson State University. JSU faced at least two documented cases. One that resulted in a 1970 police involved killing of two students and the other about a student that was threatened with a shotgun in 2015. The other case covered issues of police harassment and excessive force against students at Florida State. Both Sharpp and Mayfield also added that when a current Seton Hall professor stated that if he had gone to a PWI, he would have been just been a high school teacher, but because he had gone to an HBCU he is now a college professor. He was a Delaware State alum. Immediately after his remark, a student from Cornell University was offended. “We had to find value in the conversation,” Mayfield said, and they did. Though the comment stirred controversy in the already tension filled room, Black colleges are known for having a nurturing environment. “You need your network and you need your support system. At an HBCU, I’ve seen our network extend past the professors,” Mayfield responded. Although both enjoyed the conference entirely, the trip would not have been done if they did not go out their way to find it. Both students paid for their flight and on-campus housing on Yale University’s campus, while other students were and are funded by their select schools to attend the conference every year. Every student who was funded was a student of a predominantly white institution according to Sharpp and Mayfield. “What keeps us from attending these conferences is the funding of HBCUs. Every PWI was fully funded to go,” Mayfield said. They received great a positive review of their workshop from the leaders of the conference. Both Sharpp and Mayfield look forward to attending the conference again and encourage Hampton University to provide an even stronger presence.